Nestled in the lush greenery of the Western Ghats, Arogyaniketana Ayurveda Ashrama is located in Hariharapura, a small, ancient village in the Chickmagalur District of Karnataka State, India. Arogyaniketana Ayurveda Ashrama opened its doors in 2007 and serves approximately 2000 in-patients annually. 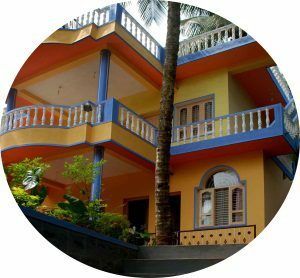 In addition to our Ashrama, we manage an out-patient Ayurvedic clinic in the centre of Hariharapura that serves about 8,000 patients annually. The clinic is open from Monday to Saturday. The on-site pharmacy carries varous locally made as well as national brand medicines, eye care products, natural cosmetics, and other healing products. The Ashrama is located a stone’s throw distance from the River Tunga, where Adi Shankaracharya founded the Hariharapura Sree Math. www.hariharapura.org. Hariharapura is just 19 km from the town Sringeri, home of the foremost of four head monasteries, variously located at the corresponding corners of India (Shakti Peethas). These monasteries are also established by Adi Shankaracharya. Being a small and relatively untouched town, Hariharapura is bereft of any ‘gifts’ of the modern world – air and sound pollution. At the same time, it is blessed with the benefits of an extensive transportation and communications network. Thus, one can enjoy the bounties of nature without being disconnected from the external world. Our environment is a perfect place to have a balanced state of mind and body. Our Ashram offers extensive facilities to their guests. These include comfortable bedrooms with individual bathrooms, located close to the private treatment areas. This gives the tranquillity that is essential to the healing process. The meals at the centre are home cooked with personal love and care. As we are a family owned business, Amma runs a most personal kitchen, catering to the food needs of a medical facility in such a way as to make every meal fragrant and delicious. We provide vegetarian food according to our physician’s advice on dietary requirements (Pathya). The centre currently accommodates up to 16 patients at a time, so as to give each patient full personal attention and care. Our centre has a small library with books on Ayurveda, yoga philosophy as well as novels and we also offer complimentary internet access.